I want our patients to benefit from the advancements of science and technology. Dr. Delu Zhou knew as a teenager that he wanted to become a doctor. “I wanted to help people with problematic health conditions,” he says. Today, as a Pathologist at Cancer Treatment Centers of America® (CTCA), Chicago, he is doing just that. Working with a multidisciplinary team, Dr. Zhou uses state-of-the-art molecular and genetic techniques to identify and classify all types of cancer. 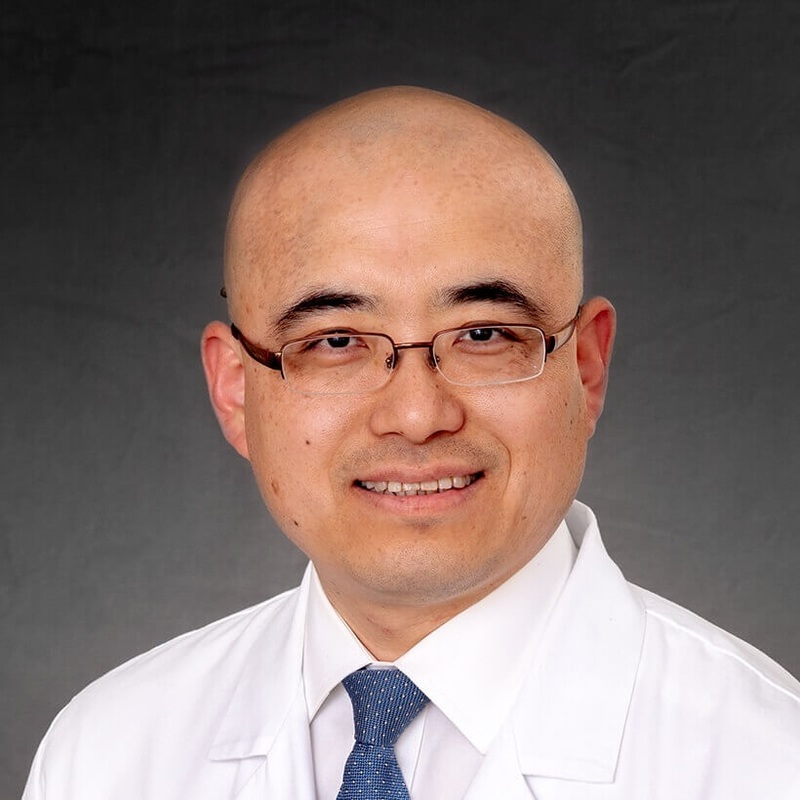 Originally from China, Dr. Zhou completed his medical degree at Hebei Medical University. He also holds a master’s degree in surgery at Capital Medical University in Beijing. Dr. Zhou came to the United States to pursue further training. He completed a Doctor of Philosophy in immunology at Indiana University School of Medicine. As a postdoctoral fellow at the University of California, San Francisco, he studied cellular mechanisms behind natural immunity and then turned his focus to the autoimmune disease. Later, he completed a residency in pathology at the University of Utah and ARUP Laboratories, followed by a clinical fellowship in hematopathology. During training, he served as Assistant Medical Director of Flow Cytometry Laboratory. Dr. Zhou’s research has led to significant publications in the field of pathology and immunology. He has presented his work at numerous professional conferences and has lectured and taught colleagues and students in the field of pathology. A licensed physician and surgeon by the States of Utah, California and Illinois, Dr. Zhou is board certified in Anatomical and Clinical Pathology by the American Board of Pathology. He is a member of the College of American Pathologists and the American Society for Clinical Pathology. Dr. Zhou joined CTCA® in August 2016. He provides pathology analyses of tumors, including leukemia and lymphoma, ensuring that patients benefit from recent technological advances. His work is a vital component of the CTCA multidisciplinary approach to patient care. When he is not at CTCA, Dr. Zhou enjoys spending time with his family and exploring the outdoors.